At Chicagoland Pain Management Institute, we are experts in all forms of pain management. We understand the deep toll that pain takes on every area of your life, and we are here to help. Using advanced methods and sophisticated pain management treatments such as radiofrequency ablation, we help patients get back to the lives they love. Radiofrequency ablation is an FDA-approved, minimally invasive procedure designed to interrupt pain signals. The technique uses radio waves to heat up targeted areas of the nerves. 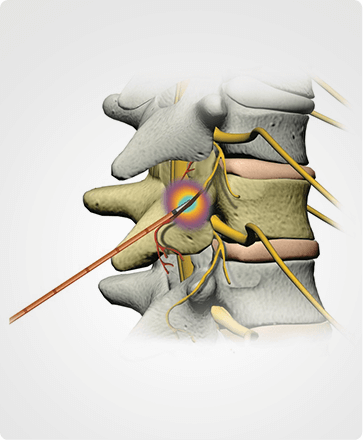 Radiofrequency ablation has been used to successfully treat pain radiating from the facet joints (small joints within your spine that enable you to move, twist, and bend), as well as other nerves, which transmit pain signals from other affected nerves, such as the lateral and medial nerve branches. While results can vary, over 70% of patients report significant, long-term pain relief lasting from six months to years. Although any medical procedure carries some risk, radiofrequency ablation is considered safe overall, with very little risk of complications. There may be some small amount of soreness and bruising at the site of treatment, which generally resolves itself in a matter of days. Standard radiofrequency ablation uses a radiofrequency generator, which charges molecules using friction, to generate a controlled, low electrical current into nerve tissue. This causes the nerve to develop a lesion, or scar, that works like a dam, blocking the nerve signals before they can reach the nerve. The term “genicular” refers to knee. 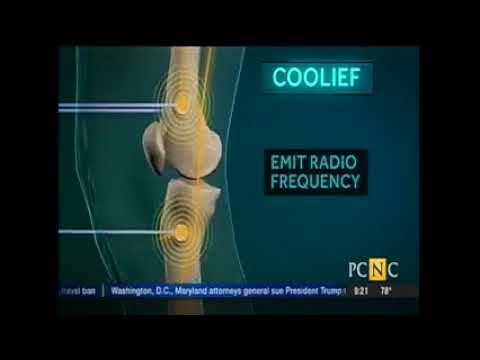 Water -cooled radiofrequency genicular ablation is used to reduce or eliminate knee pain that has not responded well to other treatments. 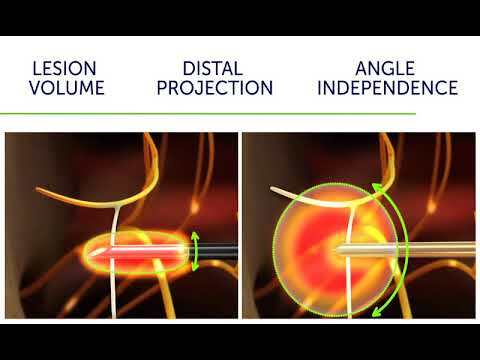 Radiofrequency water-cooled ablation uses the same basic principles as standard radiofrequency, but circulates water through the probe while it heats the specific nerve involved. This allows the surrounding tissues to both heat and cool the nerve, creating a larger area of treatment. “Obturator” is a term that refers to areas of the hip. Water-cooled obturator radiofrequency ablation is used to heat, and simultaneously cool painful hip nerves, using water that circulates within the tip of the probe. Targeting the specific nerves that create hip and certain spine-related pain allows patients to get relief from debilitating hip pain. If pain is interfering with your life, it doesn’t have to be this way. We can help. For more information about the pain management treatments we offer or to schedule a consultation with one of our pain management doctors, call Chicagoland Pain Management Institute in Bolingbrook, IL at (630) 312-4505 or in Hinsdale, IL at (630) 856-6825 or use our convenient online appointment request form.